Today saw the end of Nomadworks Incubator Program. 8 companies participated in our Demo-Day where they learned the ins and outs of pitching to angel investors. The proceedings were overseen by two very esteemed judges, Brian Cohen (New York Angels) and Daniel Rothman (Empire Angels). The crowd was filled with potential investors excited to hear our companies pitch. The incubator program was brought to you Idea 2 Scale. They are an innovation campus helping entrepreneurs change the world. They offer mentorship, courses, and programs to help startups get market ready. Establishing an emotional connection was by far the most important point Brian Cohen wanted to hammer into our young companies. Without the initial emotional connection between the pitcher and potential angel investors, a presentation will never stick. He referred to the investor deck as a pretty “straightforward system”. Meaning, pitches are typically uniform in what they say, so it’s all about how you say it. “The angel investor – company relationship is far from robotic”, Cohen goes on to say, “This is humanity, this is one group of people helping another group, so everyone can grow, and hopefully make some money.” Never undersell the emotional, storytelling aspect of your company, and make sure your investors understand that first before you go into the logistics. The classic three-minute pitch does not leave you much time to really get into the meat and potatoes of what your business does. Angel investors knows this, and deep down, you know it too. Despite this, it is a common misconception for young companies to try to cram every detail of how their software works, their marketing strategy, price points, revenue projections, etc into 3 short minutes. Of course these are important, but it is just as important to not bog your investors down with too many in-depth details. Brian Cohen even admitted, “It’s physically impossible to learn everything about your company in 3 minutes.” The more in-depth you go into your pitch, the more your investor may get “stuck”. As Daniel Rothman pointed out, “once I get stuck on something, I start to question it in my head, and that question drowns out the rest of the pitch.” You want your investors to be interested and asking more questions, but you don’t want them to be confused or hung up on something that was unclear. Instead, the key points you should be focusing on are: establishing the emotional connection, identifying a problem, providing the solution, differentiating yourself from competitors and finally the part of your pitch angel investors want to hear the most your plan for scaling. So provided we have established that all-important emotional connection, and you have your investors listening, this is what they want to hear. A lot of young companies may feel afraid, or even intimidated to mention their growth scaling. In that case, they are doing a major disservice to themselves. Angel investors, venture capital firms, or anyone willing to invest in you are doing so because they want to make money. That is, ultimately, the goal, right? They know that most of the time, they won’t get their investment back. They have run through the risk time and time again, and have seen thousands of pitches before yours. Do not be afraid to go out, and really grab it. Don’t stop at telling them what you’re going to do after you get their money, tell them how you will use that money to conquer your industry in 5 years. Investors are much more interested in how you plan to scale and grow, and how prepared you are for that, then, for example, the inner diagnostics of your business. Brian Cohen admitted that the worst pitches he has to deal with are the ones where the startup sounds like they’re groveling, or begging for funding. 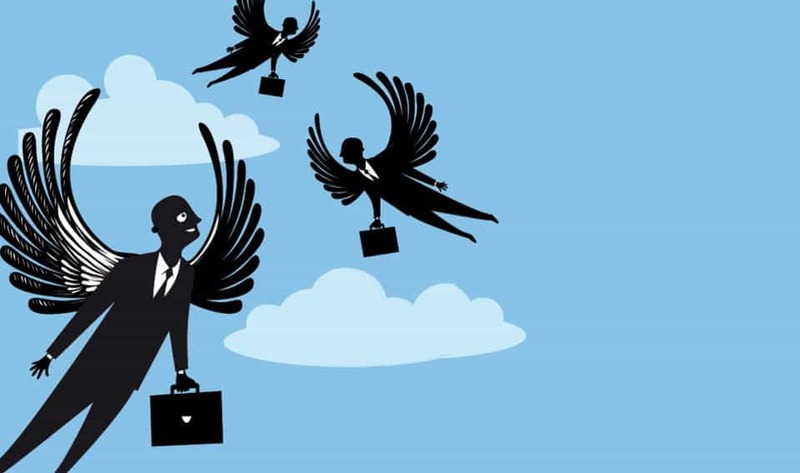 The pitch should be getting your angel investors excited to join you on your company’s journey, not feel like they are giving a handout. Seems like common sense, right? Dress sharp, stand up straight, speak clearly, and confidently, and control the discussion. However, it goes even deeper than that. Cohen made the explicit rule of banning the words: “hope”, “try to”, “wish”, and all other permutations of hypothetical language. Instead, tell your investors you will do something, not that you’re “trying to” or “intend to”, especially when speaking about scaling. You may need your investors’ help, but speaking to them as peers will take you a long way. If you want your investor to believe in you, you have to make sure you believe in you first. That kind of confidence is difficult to fake and easy to recognize. This was an interesting point in the pitch because Daniel Rothman and Brian Cohen actually gave differing perspectives on it. On one hand, Daniel felt that you should never discuss a pivot in your pitch. After all “who cares about what you were doing, I care about what you’re doing now.” Brian, on the other hand, felt that briefly chatting about your pivot points as a company shows a company’s flexibility, and a CEO’s ability to adjust and learn from history. He says it adds a level of trust between the investor and the company, as it shows they are willing to learn and adapt. After all, every successful company needs that ability to adjust in an ever-shifting market. With that being said, do not sacrifice a full minute of your three-minute pitch to giving a timeline of your failures. Briefly touching on your evolution as a company could have some value in establishing your market knowledge and decision-making ability to the people you are pitching to. He praised Nomadworks as a place and community truly dedicated to helping startups and businesses as they grow and scale. Noting that without the culture here at Nomadworks, an event like this wouldn’t be possible. Angel investors love spaces like Nomadworks because they are a hotbed for innovation, and a gathering place for exicting new companies. We will be rolling out company spotlights on each of the Companies that participated in our 5 week incubator program. Make sure to keep checking us out so you don’t miss any of these rising stars!